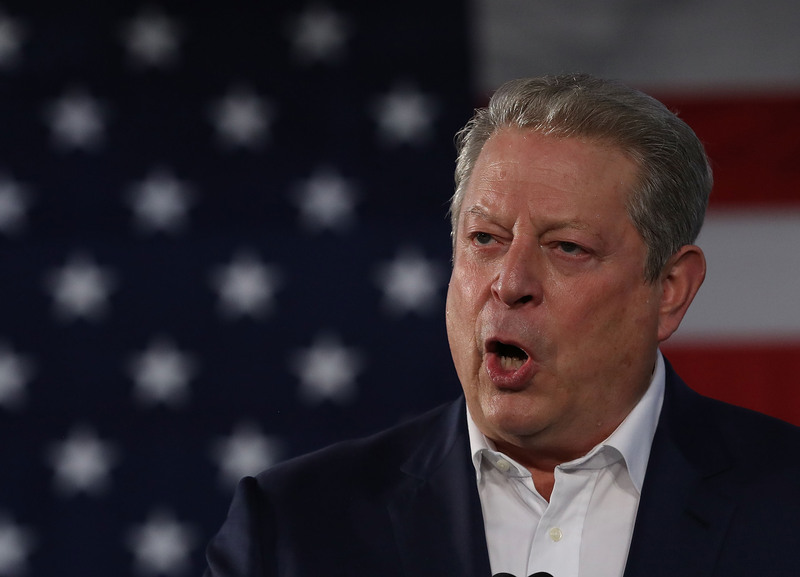 On Tuesday, after apparently suffering and witnessing enough proverbial kicks to the teeth from our presidential election system, former Vice President and climate change activist Al Gore spoke out against the Electoral College. In a video posted by NBC News, Gore said, "It’s pathetic how our system is not working today." In case you have a short memory, Gore has ample reason to not be a fan of the Electoral College. In the 2000 presidential race, Gore won the popular vote, but lost the electoral vote in what escalated to a bitter and notorious Supreme Court battle, Bush v. Gore. The 5-4 decision stated Florida's recount ruling was unconstitutional, effectively giving the state, the Electoral College, and the presidency to Bush. After that loss, Gore took a step back from campaign life, and instead went on to attempt to tackle climate change. He became known as a champion of environmental issues, most notably through the documentary An Inconvenient Truth. This year, though, Gore made his return to the presidential campaign stage in support of Democratic nominee Hillary Clinton. The two campaigned hard together in Florida, the scene of the original crime, specifically reminding voters gathered at Miami-Dade College of the missteps of campaigns past: “Your vote really, really, really counts ... you can consider me as an Exhibit A... Now, for those of you who are younger than 25, you might not remember the election of 2000 and what happened here in Florida... for those of you older than 25, I heard you murmuring just now." I’ve changed my view on [the Electoral College]. I do think that it should be eliminated ... I think moving to a popular vote system is not without peril, is not without problems, it’s not a simple one choice is all good, the other is all bad ... It’s a balancing act. But I think the balance has shifted, in my mind at least, and I think that we should go to a popular vote. The admission packs a bigger punch from the one-time presidential contender considering it's 16 years after the elimination of the Electoral College would have made a difference for him personally. There's a big difference, though, between 2000 and 2016. While in both cases, the Democratic candidate won the popular vote but lost the Electoral College, Clinton, thus far, is winning the popular vote by more than two million — far outpacing Gore's 540,000-vote lead.